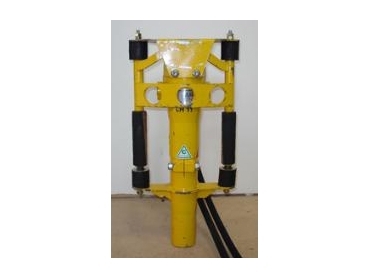 Atlas Copco Star picket post drivers are available from Truline Post Drivers . They run on hydraulic oil at 20 litres / min. Because they use hydraulic oil, they don’t need to be oiled or service regularly. Obviously, this improves business efficiency and also saves money. Star Picket can be plugged into tractor skid steer dingos or kanga loaders. Petrol power packs are also available to run the post drivers.